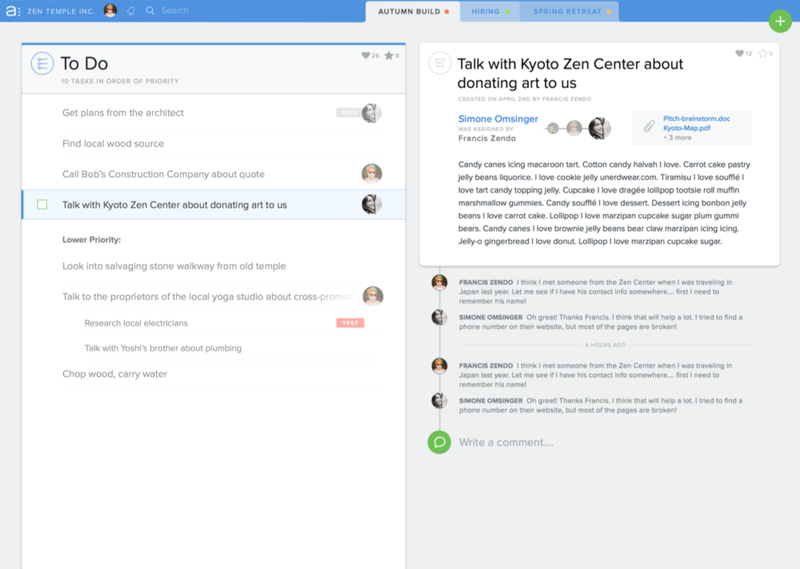 Asana is a product that helps teams stay on the same page about their work. It is relied on by companies such as Tesla, Samsung, The New York Times, Lyft, Airbnb, Intel, NASA, and even Burning Man. In 2014, I joined the company as their sixth in-house designer. In my 16 months there, I co-led a successful rebrand, while also designing product features that led to significant user growth. 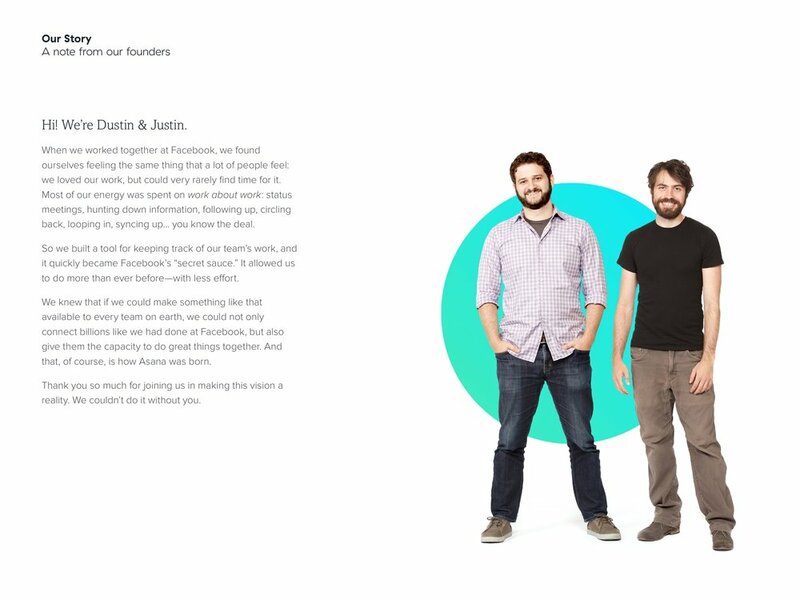 Shortly after I joined Asana, we began to redesign the product. This opened the door to a rebrand, so I worked with design lead Amanda Linden to build consensus among execs. After months of exploration and strategy meetings, we developed a direction for the new identity, and we then partnered with Moving Brands to bring it to life. 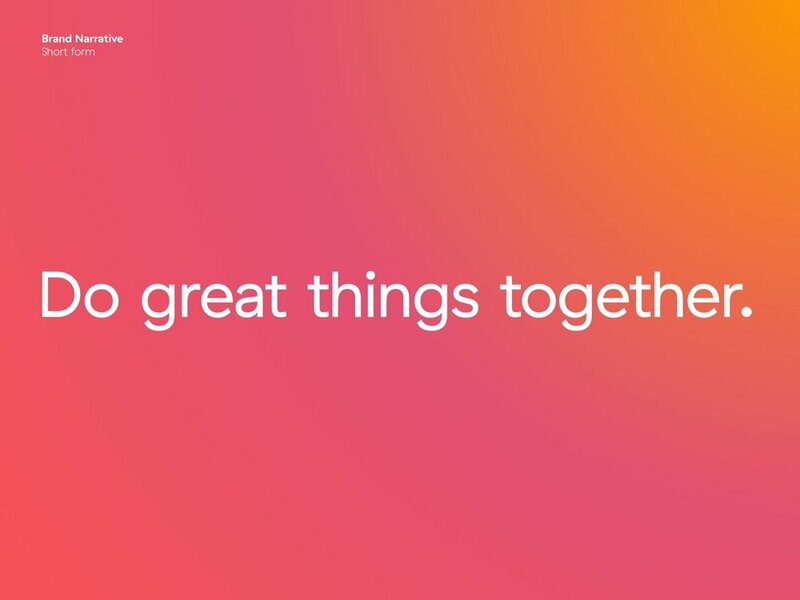 It became one of the most universally-loved rebrands I've had the pleasure of working on. 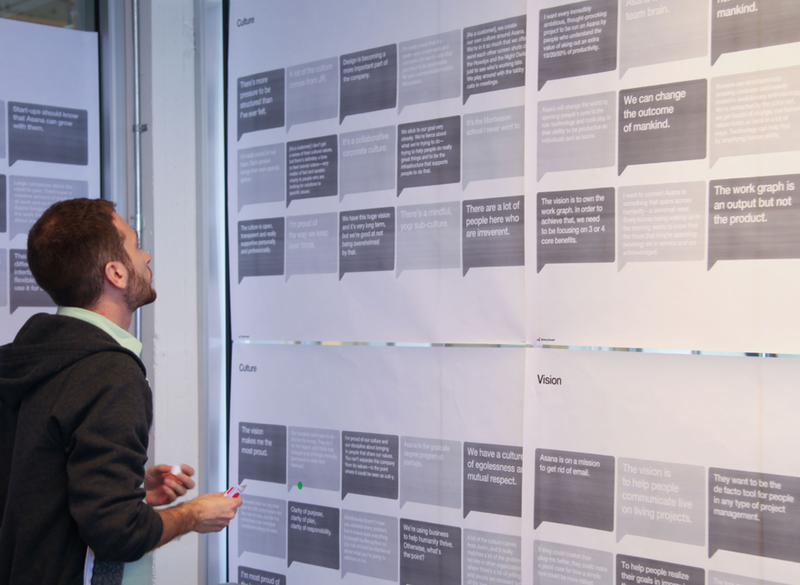 One of my primary tasks was to develop a set of brand attributes. These would be the standard by which all of our subsequent branding work would be measured, so it was important to ensure that they truly represented the heart and soul of the company. We started with several dozen attributes and honed them down to four. We knew we hit our target when they were concise enough to remember, but comprehensive enough to encompass the unique personality of Asana. Another of my tasks was to ensure that the design team understood the brand system we were creating, and visualize it in a way that made it clear how they could contribute. 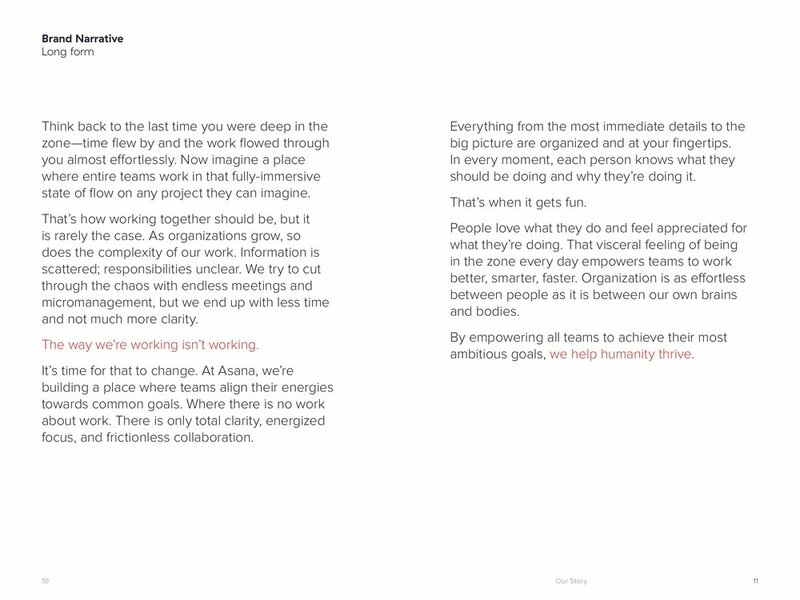 To solidify and communicate the system that came from the partnership between Asana's design team and Moving Brands, I designed and wrote this Brand Book. As we rolled out the brand, I communicated it externally as well as internally. My rebrand retrospective was one of the most-read Medium posts about design that year. Note: Much of my product work was before the rebrand, so the visual style reflects that. 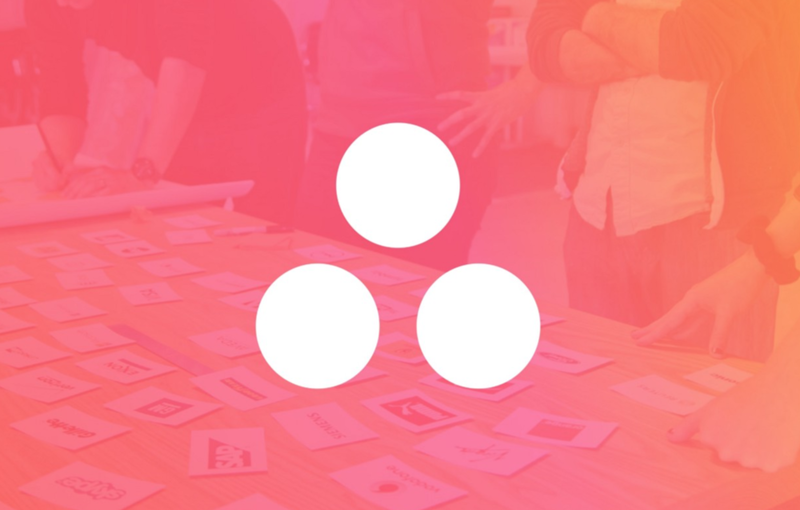 One of the biggest problems people had with Asana was that it was hard to get started. I was on a team that solved this problem by creating an onboarding flow, which had a significant effect on user growth and retention. These are some of the many explorations from that process. One of Asana's most beloved features are the fun illustrations and animations that reward users when they complete tasks. 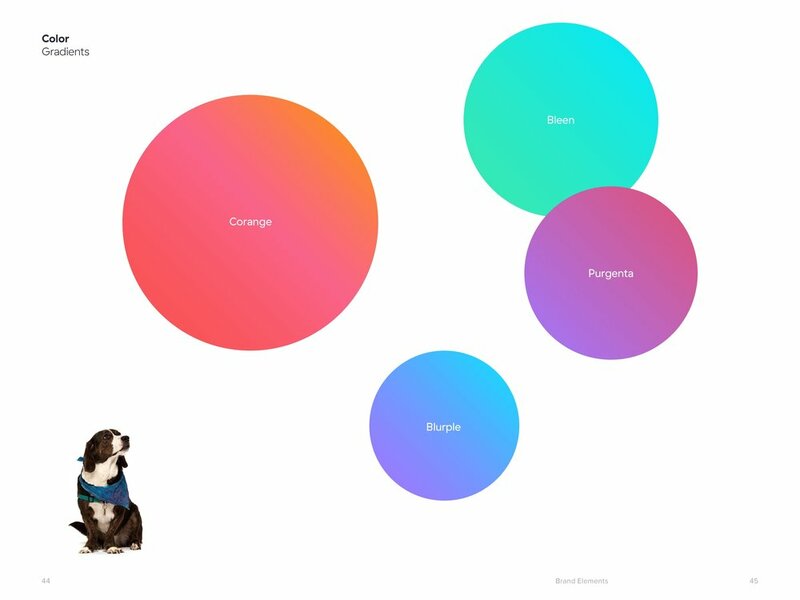 After discovering this, we worked to include more variety in the celebrations throughout the app. I was not the lead designer on the UI redesign, but I did instigate and participate in a "redesignathon" where I was able to contribute my ideas to the process. Several of the concepts I developed made it into the end product. "I’ve been thrilled to work with Micah. His strong sense of empathy makes him a talented designer and writer, while his ability to see the big picture makes him a sharp strategist across brand and product."